Offering you a complete choice of products which include dehydrated carrot powder / flakes, dehydrated/ spray dried tomato powder/flakes, dehydrated beet root powder /flakes and dehydrated ginger powder / flakes. Our dehydrated Carrot Powder / Flakes are prepared from pure quality carrots. Our range is a perfect blend of health and taste. Our Carrot Flakes and Powder is available in purity count of 100 Mesh to 120 Mesh. Moreover, this product is prepared in hygienic conditions and is checked by our quality controllers on several factors to ensure its purity. Our dehydrated Tomato Powder / Flakes are prepared from Red Juicy Tomatoes. Our range is a perfect blend of health and taste. Our Tomato Flakes and Powder is available in purity count of 100 Mesh to 120 Mesh. Moreover, this product is prepared in hygienic conditions and is checked by our quality controllers on several factors to ensure its purity. 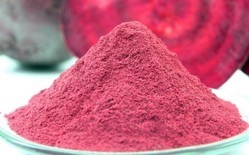 Our dehydrated Beetroot Powder / Flakes are prepared from Rich Red Beet Roots. Our range is a perfect blend of health and taste. Our Beetroot Flakes and Powder is available in purity count of 100 Mesh to 120 Mesh. Moreover, this product is prepared in hygienic conditions and is checked by our quality controllers on several factors to ensure its purity. 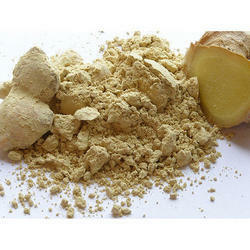 We are offering Ginger Powder to our clients. Looking for Dehydrated Vegetables ?